SOMETHING NEW - JUST FOR YOU! EDGE TO EDGE QUILTING - IN THE HOOP!!! 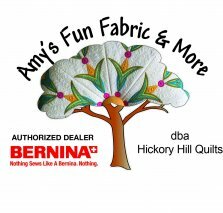 This Edge to Edge class next week, June 12 only has two people and we will have to cancel if we can't get another sign up. Please consider signing up. It isn't too late! WESTALEE RULER CLASS ADDED - GET IN ON THE FUN!!! WESTALEE RULER BLOCK OF THE MONTH: This class has a pre-requisite of having to have the Free Motion with Rulers Beginner Class. If you missed the first class session of this 6 session project, we are doing a make up and will take new sign ups for this class. It will be a 9 block quilt as you go project. Some of the rulers are easier to master than others. The make up will be in the morning (10:00-12:30) on 6/13 and the afternoon session will be the second class as scheduled from (1:00-3:30). Come! Plan to spend the day learning ruler work! FUNKY FLOWERS W DARLENE GARSTEKI: This class (June 16th) has been postponed. Darlene's attentions are needed to love her family through a very difficult time. Our thoughts and prayers are with them as they love Mike home to be with the Lord. CAMDEN BAG REPLACEMENT CLASS: The gorgeous basket on our front counter (by Bonnie Kastler - Thanks Bonnie!) and on the web site now is our new art project. Michelle Jones will teach it. The date is Friday, July 20th, from 11 to 4:00. Cost will be $45 for the all day class. FABRIC GALORE - WE ARE NOW TRIPLE THE SIZE !!! The Maplewood collection from Northcott has arrived - both color ways, all bolts and blenders, a 40 bolt collection. It is truly stunning. Cat-I-Tudes (full collection - all 24 bolts) are in the house! Gorgeous fun fabrics! We have an aquarium of stunning fish fabrics, camping fabrics, sewing trends fabric, bugs, babies, blenders and sew much more! ANNIVERSARY WEEKEND HUGE SUCCESS - THANK YOU !!! Last but not least, our One Year Anniversary Celebration was a huge success! 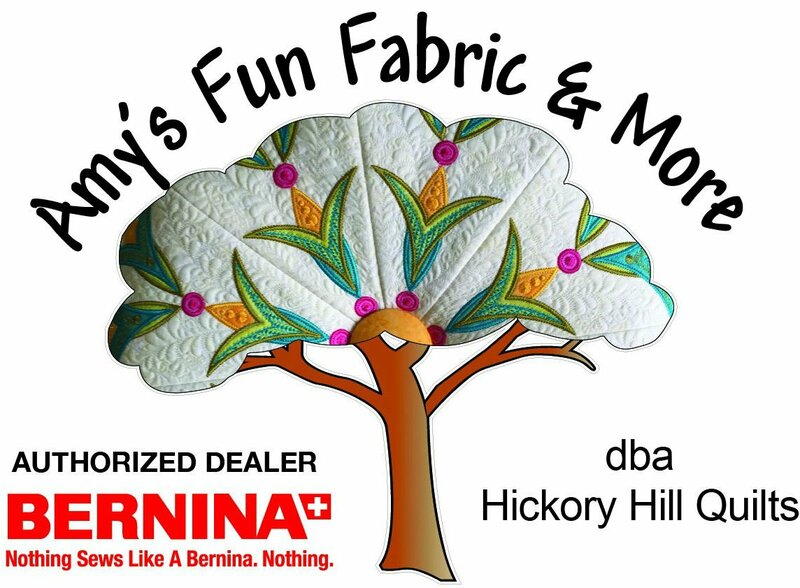 Our grand prize winners were Sue Parrish of Malvern - a Bernina 125th Anniversary Gold Foot valued at $150 and Mary Zielke of Hot Springs Village - a basket valued at $175 including notions and a gift certificate! We had 9 people get a blackjack during the weekend receiving 21% off their purchases! We had a ton of fun! Have a look at the Facebook post for pictures if you missed it!